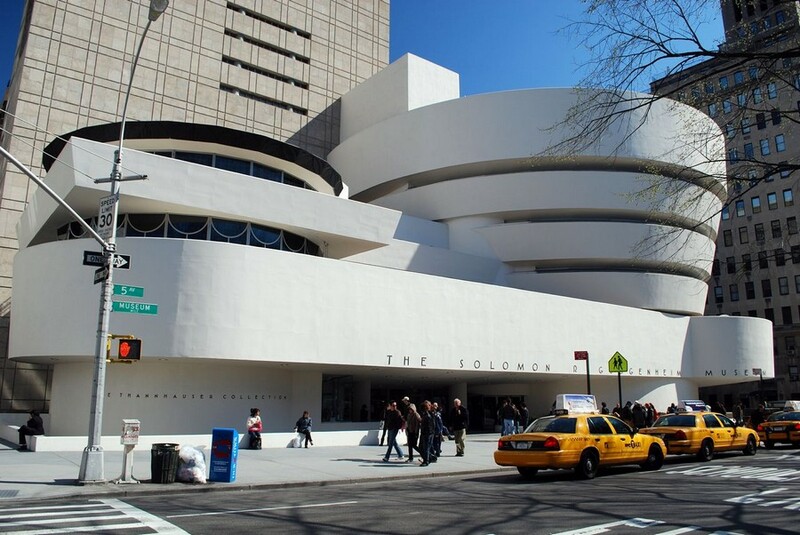 All New York guided tours by e-architect are tailored to suit each booking: bookings cannot be joined. Guided tours in Manhattan are all exclusive to each client. 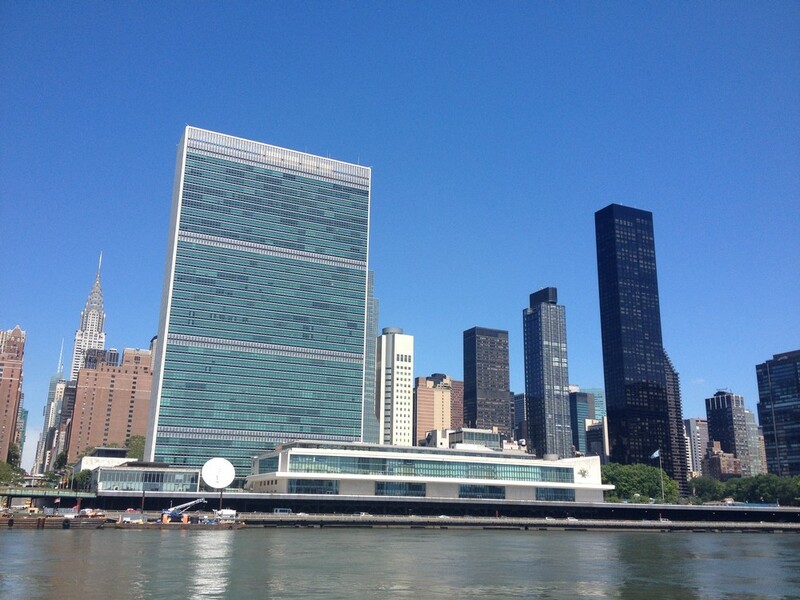 If you are arranging an office trip, a conference, or university trip in Manhattan please contact us – we would be delighted to take your booking. New York is located in the north east of the United States of America. Nicknamed the Big Apple it is the largest city in the US. 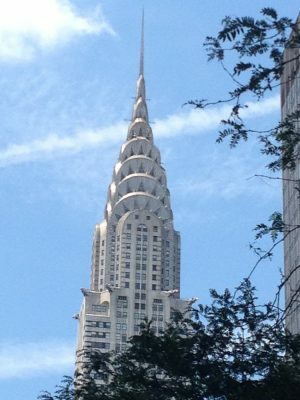 Celebrated Manhattan buildings include the Empire State Building, the Rockefeller Center, the Chrysler Building and the Guggenheim Museum. Major current buildings in the Big Apple include a number of stunning skyscrapers in Midtown and facing onto Central Park. Recently the One World Trade Center (1 WTC) by major US architects SOM was completed. New York by Gehry (aka Rippling Building Manhattan) by world-famous architect Frank Gehry. The New Whitney Museum of American Art Building, Meatpacking District and the Morgan Museum & Libary, both by Renzo Piano Building Workshop, are worth a visit. 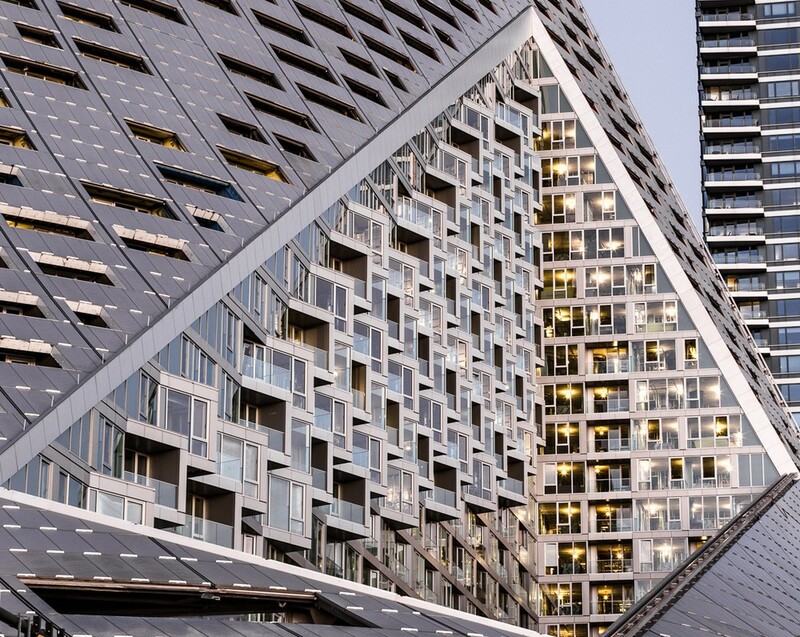 Famous architects with buildings in NYC include OMA, Steven Holl Architects, UNStudio and SANAA architects. Famous 20th Century architects to build in Manhattan include Frank Lloyd Wright, Le Corbusier, Mies van der Rohe and Philip Johnson. 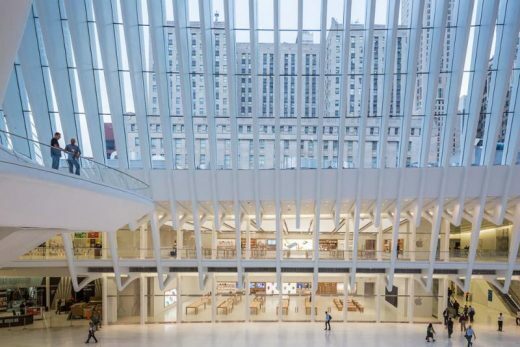 Contemporary architects with projects in Manhattan include BIG, SHoP Architects, Rogers Stirk Harbour + Partners, Handel Architects, Ennead Architects, SO – IL architects and Oppenheim Architecture+Design. Other buildings to visit include American Folk Art Museum designed by Tod Williams and Billie Tsien. 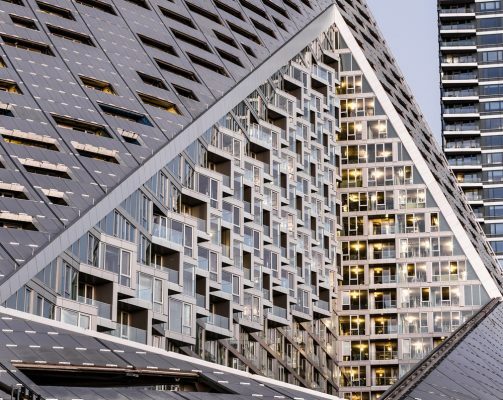 A recent large building is the Barclays Center in Brooklyn and an intriguing project is the Dream Downtown Hotel, Chelsea by Handel Architects. 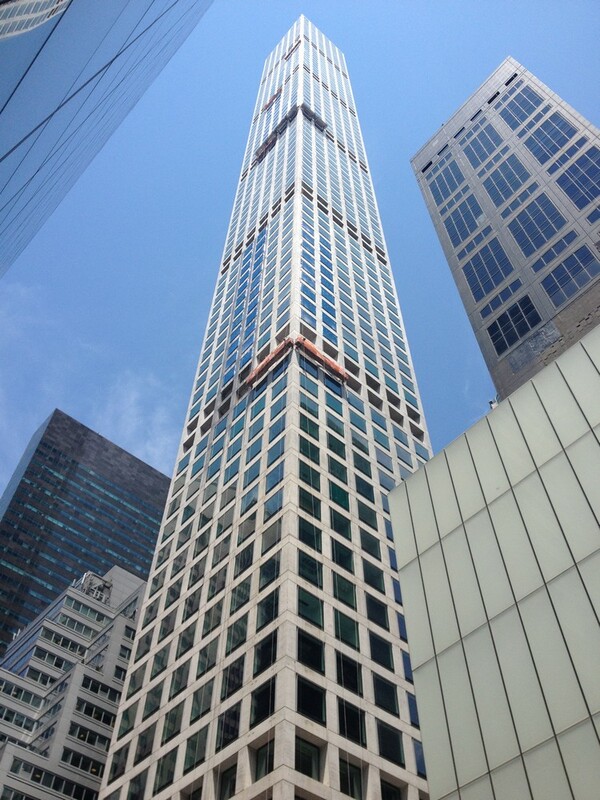 New York Architectural Tours typically include the key contemporary buildings but classic 20h Century buildings can also be incorporated. The New York Architecture Tour can be an introduction to the main NYC buildings or arranged around your group’s interests. 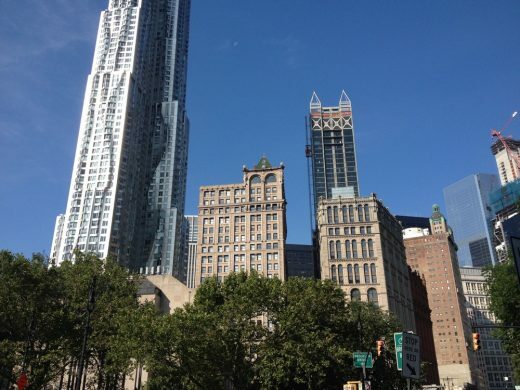 We can provide information on areas in Manhattan and building types ahead of your walking tour. For example advice could be provided for a group interested in New York office buildings so that a tour programme could be firmed up ahead of their visit to Manhattan. e-architect also organise architectural walking tours in other US cities such as Chicago, Boston, Los Angeles and San Francisco. 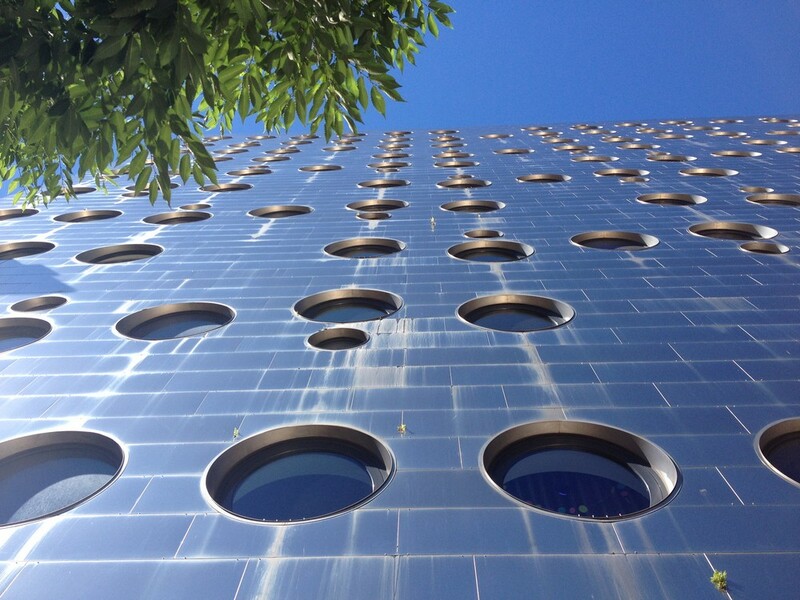 We also have walking guides in cities across the globe.